I can’t remember where I first got this recipe, but I used to make it quite often. I hadn’t made it in quite a while, so my husband suggested it for dinner this week. It is a short ingredient list, and once you make it, there are a variety of things you can do with it. I make a package of Spanish rice to mix in with it, then make burritos. You could make tacos, quesadillas, enchiladas. Spray slow cooker with cooking spray. Add chicken breasts. Sprinkle chicken with taco seasoning, top with salsa. Cook on low for 6-8 hours, or on high for 3-4 hours. When ready to serve, remove chicken and shred. Put the cornstarch into the salsa mix in the slow cooker and stir well. Stir in sour cream and mix well. 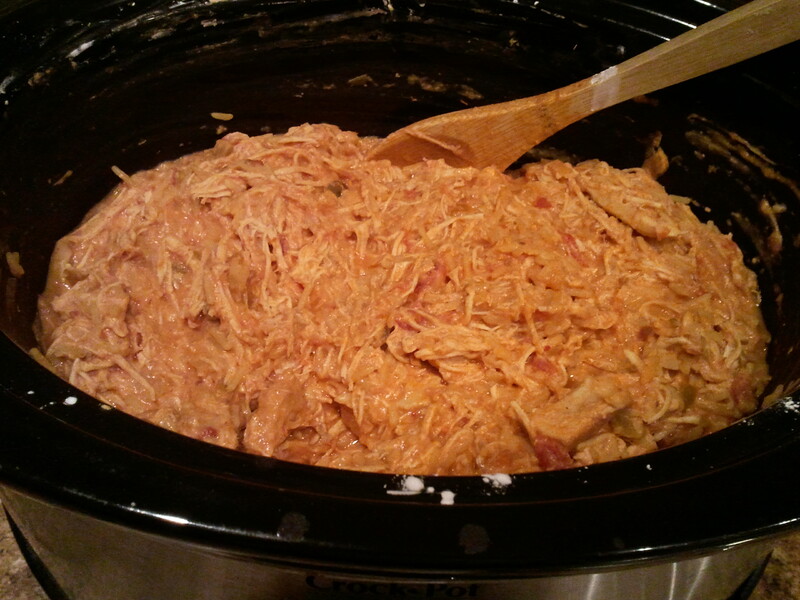 Place chicken back in slow cooker and blend in with salsa mixture. Serve as desired. Prepare 1 package of Spanish rice according to package directions. Stir in with chicken. Heat a large skillet over medium-low heat. Add a large tortilla (I use the 12 in flour tortillas from Bountiful Baskets). 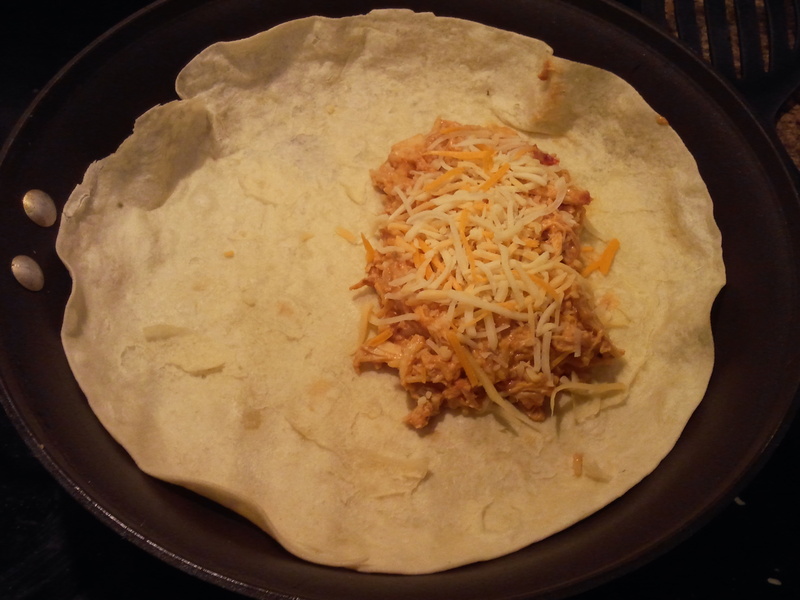 Place about 1 cup of the chicken/rice mixture toward one side of the tortilla. Sprinkle Mexican blend shredded cheese over the mixture. 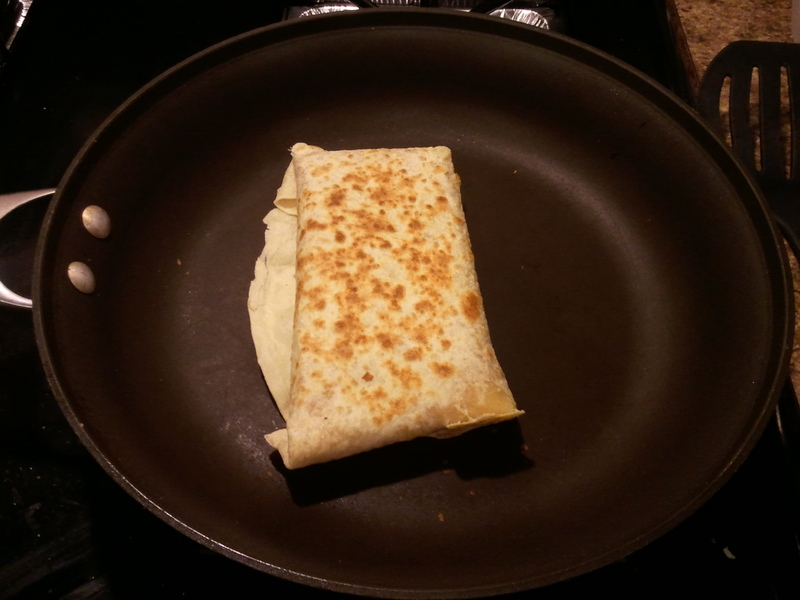 Fold the side, top and bottom over the mixture, then fold it all over on the remaining flap. Cook for a few minutes, then flip and cook for a few more minutes, until both sides are golden brown. ← $.99 Capri Sun at Safeway!